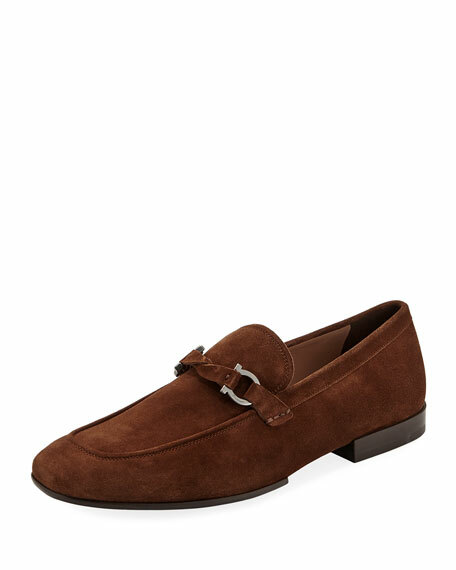 Salvatore Ferragamo loafer in calfskin suede. 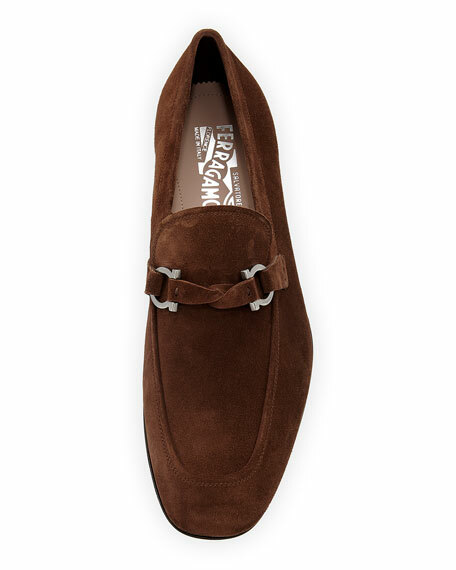 Gunmetal Gancini bit knotted strap across notched vamp. 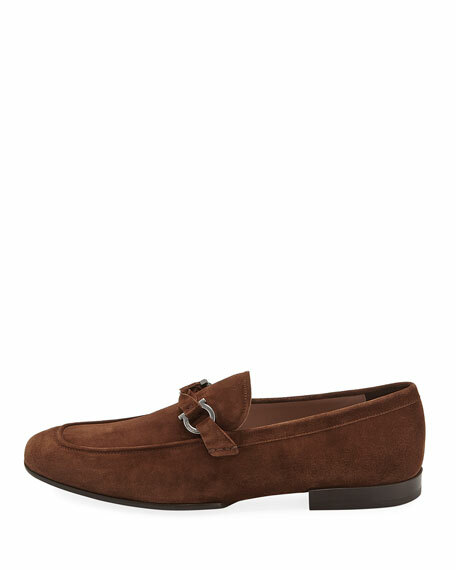 For in-store inquiries, use sku #2507756.